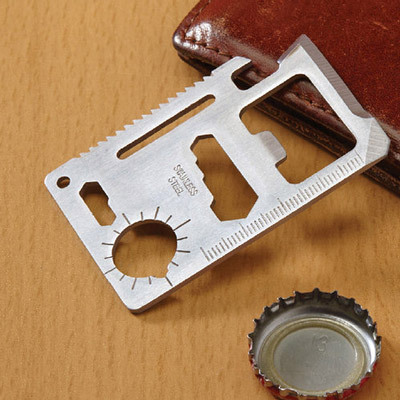 Amazingly small, stainless steel multi-tool Wallet Toolbox is the size of a credit card! Great for travel, camping, fishing, gardening. Features a can opener, knife, screwdriver, ruler, bottle opener and much more. Protective case included. 3" x 2".